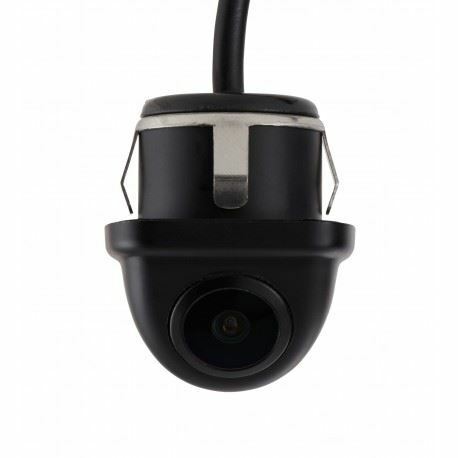 This CMOS camera’s compact design makes it easy to discreetly install on nearly any vehicle, giving the driver a much enhanced view of their surroundings for safer, easier driving. Designed to mount to a lip (surface of the vehicle that juts out a bit); the most popular mounting option being the the lip above the vehicle’s license plate. With an IP67 water/debris-proof rating, it’s built to last, standing up to dust, water immersion, and other environmental hazards. Parking lines give you some much-needed extra help in tricky parking situations where backing out is a delicate process. You’ll always see exactly where you’re headed, helping you make minor adjustments to prevent accidental collisions. The parking lines are selectable, so you can turn them off during installation when they are not needed. The selectable image adds to its versatility, mount on the back of a car for a back-up camera, or to the front of your vehicle for use as a front camera. When used as a backup camera, placing your car in reverse will automatically trigger the camera view on. It can also be installed as a front camera, triggered on when your car is put in drive, under a certain MPH.